It was directed by J. P. Dutta and co-starred Jackie Shroff, Sunil Shetty, Kareena Kapoor and Ashish Vidyarthi. The film was debut for both Abhishek Bachchan and Kareena Kapoor. Refugee turned out to be the fifth highest grossing film of Bollywood in 2000. Story deals with illegal refugees from India and Pakistan. Kareena Kapoor won Filmfare Best Female Debut award and Abhishek Bachchan won Best Male Debut award. It was directed by Dharmesh Darshan and co-starred Akshay Kumar, Karisma Kapoor, Simone Singh and Himani Shivpuri. The film was made with budget of INR150 million and earned INR230.34 million at box office. It was remake of Tamil film Mouna Geethangal starring K. Bhagyaraj and Saritha. It was directed by Apoorva Lakhia and co-starred Lara Dutta, Chunky Pandey, Aditya Lakhia and Yashpal Sharma. Mumbai Se Aaya Mera Dost was made with budget of INR8 crore and earned INR14 crore at box office. It was directed by Rohit Shetty and co-starred Ajay Devgn, Bipasha Basu, Mukesh Tiwari and D. Santosh. The film collected INR560 million at box office. It marked the directional debut of Bollywood director Rohit Shetty. Film depicts Pakistan terrorists attacking Indian Parliament building, the movie is based on real life rescue mission of Israel Defense Force in 1976 in Uganda. It was directed by J.P. Dutta and co-starred Sanjay Dutt, Ajay Devgan, Nagarjuna, Armaan Kohli,Sunil Shetty and Saif Ali Khan. Film was based on India and Pakistan Kargil War fought in 1999. Though the film moderately well it is considered as one among the most respectable film starring too many big stars all over India. 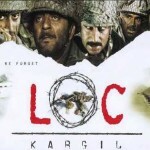 LOC Kargil was made with budget of INR40 crore and collected INR68.93 crore at box office. It was directed by Tamil legend Mani Ratnam and co-starred Ajay Devgn, Rani Mukerji, Vivek Oberoi and Kareena Kapoor. Yuva was made with INR120 million budget and grossed INR172.5 million at box office. The film was remake of Aaytha Ezhuthu starring Suriya, Siddharth, Madhavan, Bharathiraja and Meera Jasmine.Film is about students entering into politics to clean system. Abhishek Bachchan won filmfare Best Supporting Actor award for his role. It was directed by Sanjay Gadhvi and co-starred John Abraham, Uday Chopra, Esha Deol and Rimi Sen. Dhoom was made with budget of INR110 million and earned INR724.7 million at box office, becoming became one among the top grossing films of 2004. The film deals with story of Superbike gang of thieves breaking into several banks in Mumbai challenging the intelligence of local police authorities. John Abraham won IIFA Best Villain Award for his performance. It was directed by Shaad Ali and co-starred Amitabh Bachchan, Rani Mukerji, Raj Babbar and Talluri Rameshwari. Bunty Aur Babli was made with budget of INR 120 million and collected INR 632.0 million at box office, turned out to be a super hit. 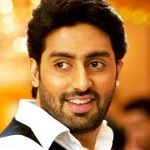 Abhishek Bachchan earned nomination for Filmfare Best Actor Award. It was directed by Ram Gopal Varma and co-starred Amitabh Bachchan, Kay Kay Menon, Katrina Kaif, Tanisha Mukherjee and Anupam Kher. The film was inspired by Hollywood film The Godfather. Sarkar had budget of INR130 million and grossed INR400 million at box office. Story deals with Indian politics and crime interrelationship. Abhishek Bachchan earned Filmfare Best Supporting Actor Award for his performance. It was remade in Telugu as Rowdy starring Mohan Babu, Vishnu Manchu, Jayasudha and Shanvi Srivastav. It was directed by Anubhav Sinha and co-starred Sanjay Dutt, Sunil Shetty, Zayed Khan, Shilpa Shetty and Esha Deol. Dus was made with budget of Rs. 23 crores and grossed Rs. 33 crores at box office. Story deals with special police force trying to avert international terrorist group’s terrorist attack. It was directed by Rohan Sippy and co-starred Priyanka Chopra, Ritesh Deshmukh, Nana Patekar and Boman Irani. Bluffmaster! was made with budget of INR80 million and collected INR313 million at box office. The film was inspired by Hollywood film Matchstick Men starring Nicolas Cage. It was directed by Karan Johar and co-starred Shahrukh Khan, Amitabh Bachchan, Rani Mukerji, Preity Zinta and Kirron Kher. Kabhi Alvida Naa Kehna was made with the budget of INR500 million and grossed INR1.13 billion at box office. Story deals with family relationships and extramarital affairs. It was a huge success in United States and became biggest overseas hit of all time. Abhishek Bachchan won Filmfare Best Supporting Actor award for his role. It was directed by Sanjay Gadhvi and co-starred Hrithik Roshan, Aishwarya Rai, Uday Chopra and Bipasha Basu. Dhoom 2 was made with budget of INR350 million and collected INR1.5 billion at box office, becoming the biggest hit of the year. Hrithik Roshan won Filmfare Best Actor Award for his performance. The film was sequel to Dhoom 1 starring John Abraham and Uday Chopra. Mumbai police requested to delete few rash driving scenes fearing it might encourage youth for street racing. It was directed by Mani Ratnam and co-starring Aishwarya Rai Bachchan, Arya Babbar, R. Madhavan and Vidya Balan. Guru was made with the budget of INR150 million and grossed INR812 million at box office. The story was inspired by Reliance Industries founder Dhirubhai Ambani. 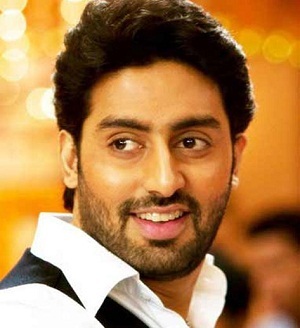 Abhishek Bachchan earned nomination for Filmfare Best Actor Award for his performance. It was directed by Shaad Ali and co-starred Bobby Deol, Preity Zinta, Lara Dutta and Piyush Mishra. The film was made with modest budget of Rs. 25 crores and received the biggest opening at the box office in 2007. The film critics also appreciated the film for its beautiful soundtracks. It was directed by Pradeep Sarkar and co-starred Rani Mukerji, Jaya Bachchan, Konkona Sen Sharma and Kunal Kapoor. The film was made with budget of INR15 crore and earned INR57.47 crore at box office. The film did above average at Indian market but it did extremely good overseas. Rani Mukerji received nomination for Filmfare Best Actress Award. It was directed by Ram Gopal Varma and co-starred Amitabh Bachchan, Aishwarya Rai Bachchan, Dilip Prabhavalkar and Supriya Pathak. 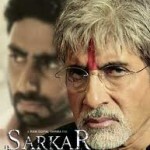 Sarkar Raj was made with budget of INR280 million and grossed INR594.6 million at box office. Story deals with Indian politics and crime. Sarkar Raj was sequel to Sarkar released in 2005. Abhishek Bachchan received nomination for Filmfare Best Actor Award for Supporting Role. It was directed by Tarun Mansukhani and co-starred John Abraham, Priyanka Chopra, Bobby Deol, Kiron Kher and Boman Irani. Dostana was made with budget of INR30 crore and collected INR88 crore at box office, becoming one among top hits of the year. The film has little resemblance to Hollywood film I Now Pronounce You Chuck and Larry. Abhishek Bachchan was nominated for Filmfare Best Actor Award. It was directed by R. Balki and co-starred Amitabh Bachchan, Vidya Balan, Paresh Rawal and Arundhati Nag. 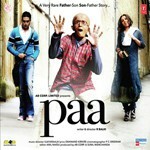 Paa was made with budget of INR150 million and earned INR310 million at box office. The story deals with rare genetic disorder and depicts father son relationship. Amitabh Bachchan won Filmfare Best Actor Award for his role. It was directed by Rohan Sippy and co-starred Bipasha Basu, Rana Daggubati, Prateik Babbar and Aditya Pancholi. Dum Maaro Dum was made with budget of INR350 million and grossed INR540 million at box office. During the release of film it ran into legal controversy with its promotional dialogue “Liquor is cheap here and women are even cheaper here”. Rana Daggubati won Zee Cine est Male Debut Award for his performance. It was directed by Vijay Krishna Acharya and co-starred Aamir Khan, Katrina Kaif, Uday Chopra and Jackie Shroff. Dhoom 3 was made with budget of INR1.25 billion and grossed INR5.42 billion at box office, becoming the biggest Bollywood hit of all time. Story deals with Aamir Khan, a magician avenging the death of his father by robbing Western Bank of Chicago. It was directed by Farah Khan and co-starred Shah Rukh Khan, Deepika Padukone, Boman Irani and Sonu Sood. Happy New Year was made with huge budget of INR1.25 billion and turned otu to be a huge blockbuster hit, becoming one among the highest grossing film in Bollywood. Story deals with Shah Rukh Khan, a street fighter trying to take revenge for false accusation against his father.